Because sharing is good for everyone. After almost eight years with Open Source Catholic as a Drupal 7 website hosted on infrastructure generously provided by Midwestern Mac, I migrated all the Drupal site content into a static Jekyll-powered site hosted on GitHub Pages (thanks to a suggestion from Michael Bianco). To maintain consistency we migrated everything, including comments and forum topics (we’re now using Disqus for commenting), and made sure all the old link paths were redirected to the new Jekyll structure. Please let us know if you find any problems on this new version of the site by adding an issue to the Open Source Catholic website repository on GitHub. The bottom line is that the most popular reason someone visits a Catholic church website is to find out what time mass is provided at your parish. So why make that an obstacle for your website visitors? Having correct mass times and other service times listed visibly on the homepage can be one of the most effective thing you can do to improve the usability of your church website. Give the people what they want! We understand that it can be difficult to make any improvements to your website with the lack of manpower—that’s why we’re here to help. If you need help getting any of the above-mentioned features onto your website, click here to use our contact form to send us a message at any time and we’ll respond within a day. We will provide you with a free consultation, review, and recommendation on how to improve your parish website. 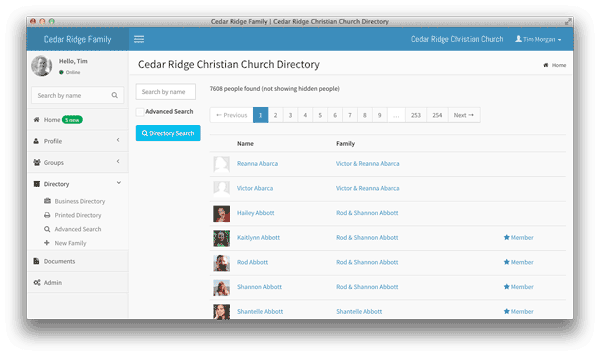 Here’s an announcement of a new app -under development- that may be useful for churches. It’s called MapTiming and the idea is to create a web app where you store information about upcoming events or schedules. You store location information as well as calendar date and time. The events are displayed on a map, and can be filtered based on a selected timeframe. MapTiming shows in a glance what’s going on, where and when.